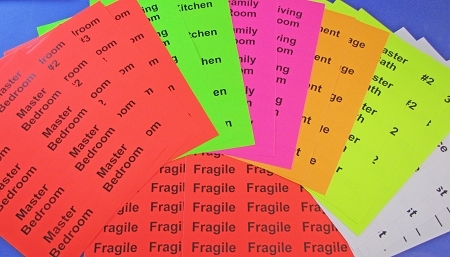 Organize your move with color coded box labels pre-printed with room destinations. These will make it easy for movers and homeowners to instantly know what location the boxes should be taken to. Great for real estate agents - free personalized "Compliments of" label available with each pack ordered.